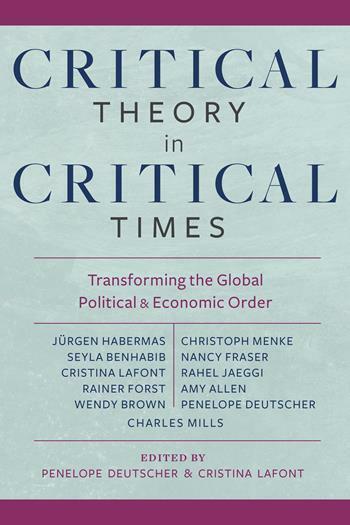 In Critical Theory in Critical Times, eleven of the most distinguished critical theorists offer new perspectives on recent crises and transformations of the global political and economic order. Sharpening the conceptual tools of critical theory, the contributors reveal new ways of expanding the diverse traditions of the Frankfurt School in response to some of the most urgent and important challenges of our times. Note: Jürgen Habermas's essay appeared in his book ”The Lure of Technocracy" (Polity Press, 2015), titled "European Citizens and European Peoples: The Problem of Transnationalizing Democracy”. See Jerome Braun's review of the book in "Theory, Culture & Society".